After reading this Washington Post story on the complexity of AF ablation decisions, I wrote, and wrote, and it just didn’t come together well. Not well enough to do the topic of AF ablation justice. Then this thoughtful email came. My question: How does a patient have even the faintest idea whose advice is better for him/her individually? The only solution I can think of is to somehow have complete trust in my physician, his/her knowledge of a-fib, understanding of my circumstances, etc., etc. That’s all but impossible in light of the way medicine is delivered today. So, short of complete trust in a physician, how does a patient weigh and measure the various factors to come up with a reasoned decision? Is there a checklist of factors to match against each other? I’m thinking of stuff like age (in what circumstances is sooner NOT better than later? ), AF’s progressive nature, risk of stroke, degree of stretch damage, ablation success rate, waiting for new, possibly more successful treatments, heart rate control as a measure of success w/ medication, paroxysmal vs. persistent, the list goes on. Are some factors so compelling that you would routinely recommend one course or the other? So, I will try again, attempting to clarify my thoughts on AF ablation, as an answer to the above questions. Atrial fibrillation treatment could not be more complicated. AF affects a wide variety of patients, in a myriad of ways, ranging from asymptomatic to incapacitating. AF can be intermittent, persistent and permanent, and success in ablation parallels this continuum. Stroke risk with AF is determined by the 6 point CHADS score, where a point is assigned for Congestive heart failure, High blood pressure, Age>75, Diabetes, and two points for a previous history of Stroke. A higher score implies a greater stroke risk, and a score above 2 clearly indicates benefit to the blood thinner, warfarin. Read more here. In the lower risk AF patient, the real dilemma in choosing AF ablation is that its complications can be catastrophic while the disease is rarely so. “AF is not a life-threatening disease, don’t make it one,” is advice I received years ago, from a squisher, no less. However, not only can AF increase the risk of heart failure and stroke, but it often markedly degrades one’s quality of life. Even patients with seemingly asymptomatic AF score lower than their sinus rhythm peers on quality of life surveys. Consider also that AF drugs are rarely effective in the long-term. Even when drugs are partially effective, the side effects are often worse than the AF symptoms themselves. Fatigue, shortness of breath, and lower exercise capacity are both symptoms of AF and the most common side effects from rhythm drugs. Moreover, not only are AF drugs associated with nuisance side effects, many have significant dangers, including QT-prolongation, which enhance the propensity to more malignant ventricular arrhythmias. AF ablation encompasses a variety of techniques, but most commonly involves using a series of isolated radio-frequency lesions (burns) to isolate quadrants of the left atrium. Using the image of the United States map as the left atrium, consider the four pulmonary vein areas as Maine, Florida, Seattle and LA. Ablation aims to isolate these problem areas by creating lines of electrical block with dot-like burns. It takes many dots to create a singular line, and if AF originates from Kansas, our lines will have no effect. Perforation of the heart in a patient on blood thinner. Stenosis of a pulmonary vein resulting in permanent damage to the lung. Phrenic nerve injury resulting in diaphragm paralysis. Esophageal damage frequently resulting in death. Damage to the leg blood vessel. Few of us EPs are doing the procedure, as unlike the thirty-minute ICD implant, AF ablation is not a money maker. It takes hours, makes your shoulders, feet and back ache and sadly it pays nearly the same as a simple 45 minute ablation. (Degree of difficulty is irrelevant to CMS.) AF ablators do it for the gratification and thrill of curing an awful disease, not for the money. Fewer operators mean more case volume for those of us who accept this challenge. More cases makes any operator better. Ask Dr Gawande about this. Comfort with the trans-septal needle, the location of the actual origin of the pulmonary veins, knowledge of the fragility of the left atrial appendage, and the danger of burning aggressively near the esophagus are just a few of the specifics that make experienced operators better. Experience with ablation failures also helps guide AF doctors. Learning when to say ablation is not the right choice is incredibly important. Three dimensional mapping systems have advanced to the point where strikingly accurate geometric maps can guide catheter manipulation without the burden of radiation exposure. It is not uncommon for an AF ablation to have less xray exposure than an ICD implant. Precise knowledge of the anatomy not only enhances that particular patient’s safety, but it also provides an incredible educational experience to the operator. Educate yourself. Read bunches. Give most weight to sites devoid of heavy advertising or those selling something. Make sure the diagnosis is correct. Some AF is actually atrial flutter or atrial tachycardia. Ablation of the latter two are much easier than AF. Correct all possible associated lifestyle issues. Examples include getting your thyroid checked, having your sleep evaluated, minimizing caffeine intake and eliminating alcohol consumption. Doing so, may significantly help your AF. AF is a heart problem, I have a heart doctor, so I am ok, right? Many cases of AF spontaneously abate, or respond quickly to initial therapy. If so, great, if not, or if you want to know more, seek out an electrophysiologist (heart rhythm doctor) who specializes in AF therapy. You want an electrophysiologist who has experience in AF ablation, not because all AF requires an ablation, because having the ability to ablate AF changes a doctor’s approach to your problem. AF has complications, so will ablation lengthen my life? Know that ablation is done to relieve symptoms of AF. In 2010, ablation has not been shown to lower overall mortality. Trials designed to answer this question are currently enrolling patients, but it will be a long time before we know whether AF ablation does any more than relieve symptoms. I am fearful of a stroke. AF ablation has not been shown to lower stroke risk. Although, it seems self-evident that if ablation eliminates AF, it should also eliminate stroke. 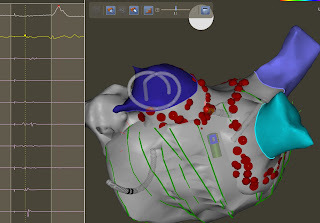 The problem is that in many “successful” ablation patients–if one looks close enough–AF is still present, but is rendered asymptomatic after ablation. “Doctor, my AF is gone, I feel great, you changed my life,” says the grateful post-ablation patient who unbeknownst to him, is in AF as he congratulates me. In 2010, if blood thinner was indicated pre-ablation, it is likely indicated post-ablation. For this reason, AF ablation should not be done solely for the purposes of eliminating blood thinning medicines or reducing the risk of stroke. This may prove true in the future, but is not so now. If ablation comes up, ask your doctor about his/her experience. How many cases has he/she done? What complications have been seen? What is the success rate? Zero complications and 90% success rates should raise a red flag. AF ablation is not like an appendectomy. Signing up for ablation of AF is more like signing on to a journey, with your AF doctor as shipmate. AF recurrence rates after initially successful ablation are high, with 30-40% of patients requiring two procedures for ultimate success. Even then, AF recurrences have been described up to 3 years post ablation. Whether to continue AF medicine or blood thinners after ablation is frequently a nuanced decision. Should you wait for the procedure to improve? This is a hard one to gauge. Individual patients vary greatly, and there isn’t any protocol. Recent AF ablation data help, as this study showed (and most agree), that if AF is refractory to one AF drug, the chance of another working is around 20%; this compared to ablation success rates around 70%. Yes, it is true that AF ablation will continue to improve over the years, but I see no major breakthrough in the near term. For those AF patients who have collected the treasure: AF ablation cure, most wished they had had the procedure sooner. Although long-standing AF is harder to cure with ablation, there is time (months) to gather multiple opinions. The diversity of AF treatment options is vast, and hearing the approach and style of different clinicians is very often reassuring. In my experience, real-world ablationists recommend remarkably similar strategies. How do you know whether your AF ablation doctor is good? This is another hard one. If it were me, I would talk to more than one. When I asked my family doctor, I would phrase it something like this, “I know you are employed by hospital A, but if you had AF, who would you have do your ablation?” Then I would listen and look at him carefully. You could ask those in the inner sanctum of the EP laboratory as they might offer important insight. Well, no, I guess you can’t get in touch with them, and they don’t see the patient weeks later in the office. You could wait for real outcomes reporting to emerge. But it might be awhile since AF recurrences may occur up to years later, and definitions of ablation success vary. What would I do? If my intermittent AF were recurrent, or medically refractory, or medicine-related side effects were untenable, I would have ablation, now. For me, life is too short to suffer with a potentially curable problem. No amount of preparation guarantees a successful outcome. Patients have to way the risk of the ablation versus the chance of winning the treasure: an AF free life with no medicines. Unlike, a tumor removal surgery, or bypass surgery, or a ruptured appendix, the choice of not having the procedure and enduring the AF is acceptable. Your AF doctor(s) can help with this choice, but ultimately it is an individual’s personal choice. AF symposia go on for days, so it is impossible to capture the essence of this incredibly diverse disease with the many multitudes of different treatment strategies in a single blog post. The progress of medical innovation knows no better example than the therapy of AF. And the target is moving, as the landscape will change as new treatments emerge. No doubt, success in navigating through the decision of whether to apply aggressive treatment to a non-life threatening, but highly debilitating disease, will best be accomplished by skillful communication between an educated patient and an experienced clinician. As the incidence of AF marches higher, hopefully, in the future, there will be incentive for one to invest eleven years of post-graduate education to learn such a trade, and that compensation for the skills required to perform such a complex procedure will be commensurate with the task. Excellent post, thank you for taking the time to write that much. Is there a definition of "long term" when you say the AF drugs are not effective long term? Would that be months, years or decades; or is that one of those personalized not predictable parameters? Great read Dr John. As a long term sufferer, I find that much of what you said rings true. I made my decision long ago that if the AF became too intrusive a part of my life, and that after thoughtful discussion with my Cardiologist and EP I would have the procedure done. Which I did in August of last year. What are your thoughts on the use of supplementation, such as magnesium and potassium following an ablation? Pro, Con or indifferent? 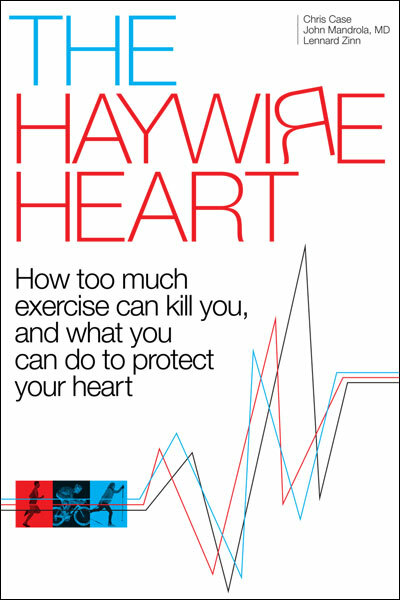 This is exactly the information I've been looking for ever since I was diagnosed with paroxysmal afib over a year ago. I've been to three different EPs (actually four counting the stand-in for one who went on maternity leave) and nobody came close to offering any perspective on the issues you discuss here. Thank you for taking the time to put this together. Vince – IMHO it is very important that you educate yourself on your condition as much as you can. I was fortunate in having many physician friends as well as a PCP, Cardiologist and eventually an EP that were on top of their game. Throughout my time with AFib, I also had 3 fellow friends that were athletes that were also dealing with afib at the same time I was. We all would compare notes and theories on particular triggers or ways to prevent having attacks. one along with myself had successful ablation, 1 controls his with supplementation (afib free for over 6 years) and the other control's his with diet and meditation. If you are younger and active you may find it harder to find Doctors that are more familiar with your specific needs but believe me they are out there. "Long-term" varies a great deal, as does nearly everything about AF. I mean more than a year or two, although a small number of patients do indeed remain symptom-free for years. However, in these drug "success stories," I often wonder whether it is the drug's effectiveness or the fickle nature of AF? 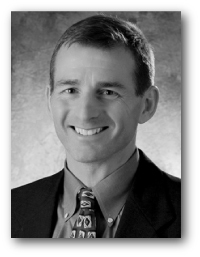 It is true that I occasionally see a patient with fewer palpitations while taking magnesium, and endurance athletes are surely at risk for electrolyte depletion, but the truth is not known. It is clearly true though, there are many entrepreneurs willing to sell one potion or another in the name of heart health. Exceptional writing. Exceptional post. Well done. Found your website very helpful. Just this morning I was introduced to AF Ablation. I am low risk and my doctor suggested refering me to an EP with a view to getting AF ablation. But left it for me to consider. I am in the UK. Do you know of any EPs here and how do our success rates compare? Do you have any UK infomation on this? What is the back-to-normal time like from ablation in the case of people who (aside from AFIB) don’t have any health restrictions/limitations? Aside from a day or two in the hospital and maybe taking it easy for a couple of days after that, when generally can people resume normal activities….spinning class for example…or air travel? Enormously helpful blog and very well-written…but this is very much an elective procedure and it’s almost impossible to feel comfortable that I know enough to make the right decision….especially when the only benefit is symptom relief and when symptoms on the whole are occasionally very annoying but not horrible. Most people that have AF ablation are down for a few days. No cycling for about 5 days. I ask my patients not to travel very far for 2-3 weeks after the procedure. You hit the nail on the head about symptom relief and the size of the procedure. This incongruity is something I struggle with all the time. For symptomatic AF patients whose lives are rendered unlivable, ablation makes perfect sense. Likewise, for those AF patients without symptoms, not doing the procedure is an easy decision. The problem is that most patients fall somewhere in the middle of these two obvious extremes.